Richard1 I'm curious , when I asked about installing self adjusting brakes oj my 60, i was told i couldn't. That was from several on the forum! But if you work it out I would like to see your finished install and what you had to do! I had bought all the parts but stopped when I was told it wouldn't work. Watch this video! It explains the function and the conversion your asking about. Even if like some of us you've done 100 sets and thought you knew everything about GM self adjusting brakes, I bet you pick up something! Thanks Wagon, I'll watch the video. But one of the reasons I was told was I would have to change the drums so I had the adjustment knockouts if I ever had to remove the drums, if they got to tight. 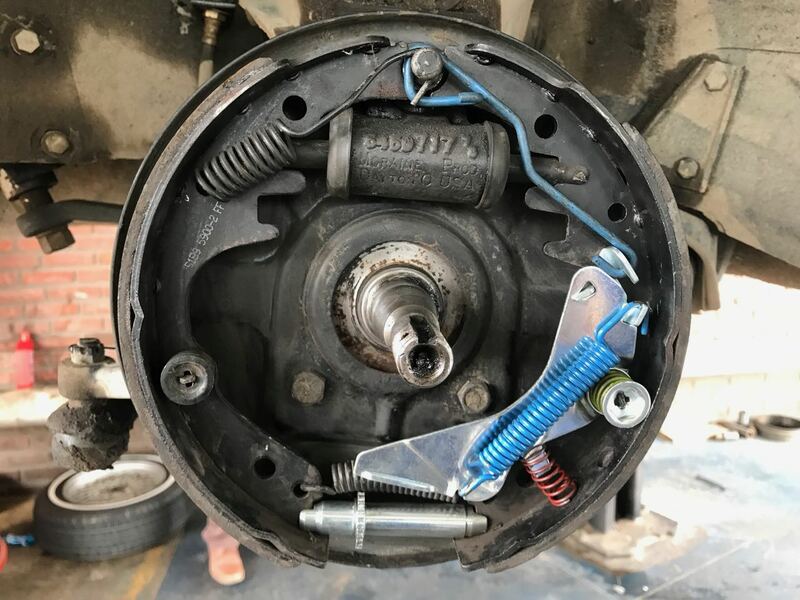 Of course replacing the brake with 63 pads which have a larger diameter for the pins, but I've read they can be drilled to accommodate the change. Don't remember the other reasons why 60 couldn't have them but those where a couple, which can be taken care of. I have had to drill the knockouts, not as easy to punch as they make it look. Adding pics of it put together both ways. I'm not sure if I am looking at this right, but it looks like you have the primary shoe on the rear. Yes, those shoes are reversed. Long shoe to rear. Actually I am amazed you have two different length linings, as most are shipped today with equal length linings, and Ken Hand has a thread on here on cutting one lining short, just like GM . 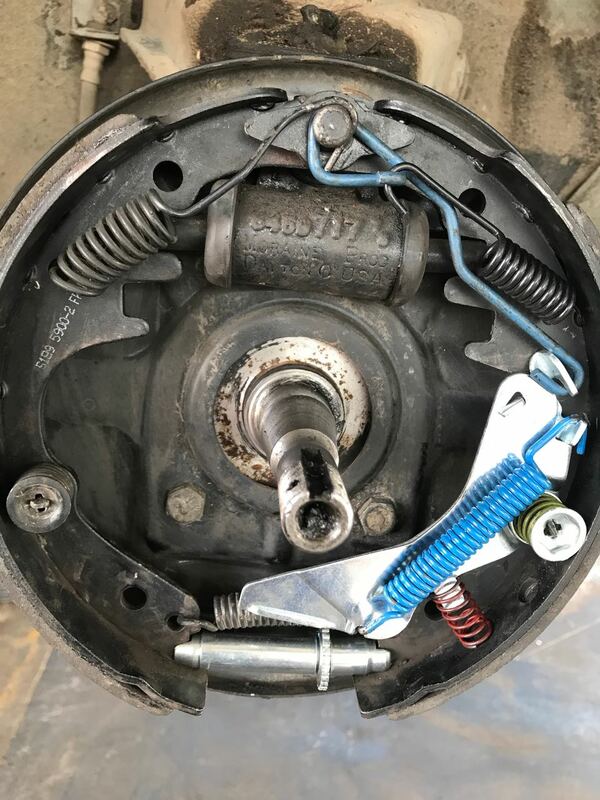 The spring above the adjuster needs to be replaced with one that loops above the adjuster wheel. Adjuster wheel should be close to adjuster lever pivot, like bottom picture.